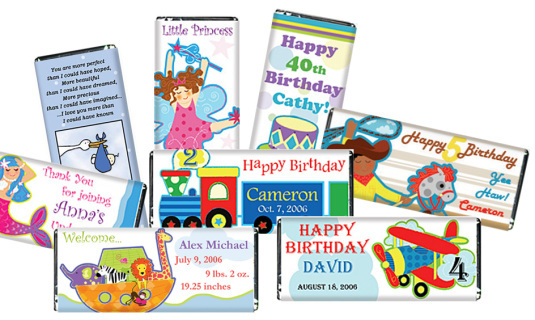 Personalized Candy Bars - Sweet Greetings, Inc.
_Earn income by selling personalized candy bars! All of our beautiful personalized candy bar wrapper labels are available for you to sell! Simply add the personalized information to the custom candy bar wrapper label (with the included CD Rom), print and wrap! (Not compatible with Mac).